Georgia is the leader in the region in the use of licensed programs, the development of innovation and intellectual property protection – Microsoft’s Vice President, Toni Townes-Whitley said at World Economic Forum in Davos, Switzerland. Giorgi Kvirikashvili, Prime Minister of Georgia, presented the government’s four-point reform agenda, which includes the promotion of startups and use of modern technology and innovations in business development. The Prime Minister thanked Microsoft for support in the fields of education and innovation, and pointed out that Microsoft Georgia has a crucial role in this regard. Microsoft and Ministry of Education of Georgia have been working together for seven years – conducting training for teachers, seminars and conferences. 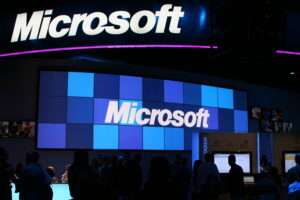 Since November 2016 the Ministry of Education and Microsoft approved a memorandum, by which they support the educational process in Wi-Fi technology introduced in Georgia. Under the memorandum, the latest operating systems and computers in schools are equipped by Microsoft programs. Microsoft’s Vice President also stated today Microsoft is considering deeper cooperation with Georgia and plans sets of other directions for the countries’ technological advancement.